Transneft Diascan extended the line of diagnostic devices of its own production with a new flaw detector for determining the position of 16-DST pipelines. The device successfully passed tests and was accepted into operation by the commission of Transneft. This diagnostic complex is a new standard type of the range of DST flaw detectors used by specialists of Transneft Diascan for inline diagnostics since 2012 and is designed to determine the spatial position of the main pipelines with an external diameter of 16/20 in. The flaw detector measures the co-ordinates of the axis of the pipeline, determines the radii of its bends and the angles of rotation. 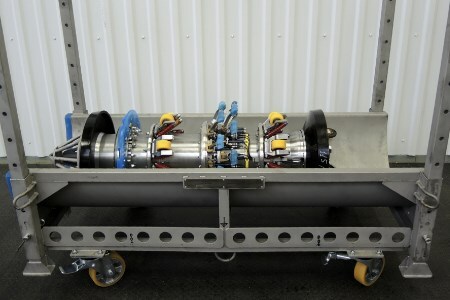 The device also provides information on the location and dimensions of transverse welds, geometry defects, connecting and structural details of the pipeline, as well as measuring the movement of the pipeline during its operation.